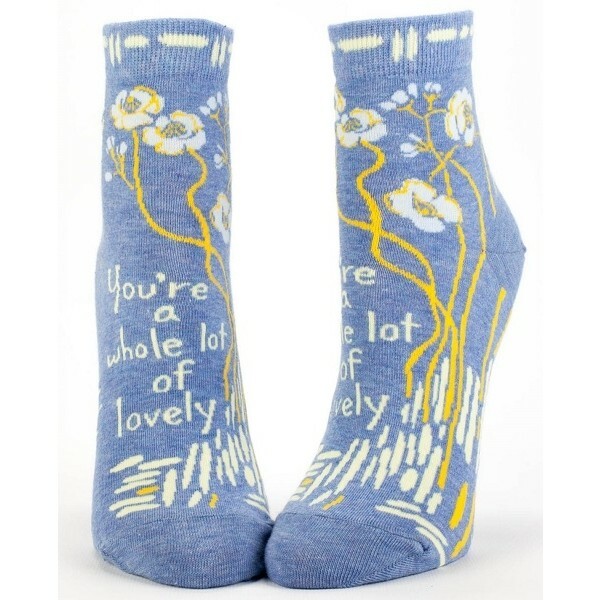 When you're feeling a little grey, these cheerful ankle socks will remind you that you're a whole lot of lovely! These cozy socks from Blue Q are made from 52% combed cotton, 46% nylon and 2% spandex and feature an elegant design and an inspiring affirmation. 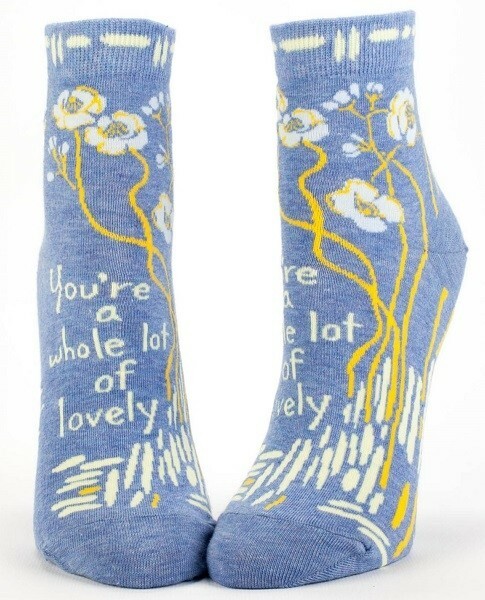 You're a whole lot of lovely! These socks come in one size which fits most women's shoe sizes 5 - 10.